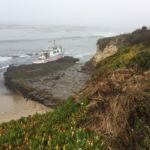 On August 11, the 56 foot long fishing vessel Pacific Quest ran aground in Monterey Bay near Santa Cruz in the Natural Bridges State Park, California. 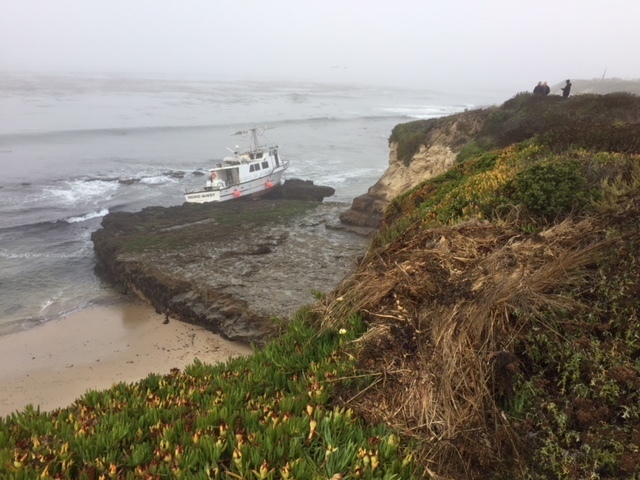 The vessel had run ashore during the earlier morning hours at low tide. The captain who was the sole person on board abandoned ship and walk up the beach to safety. The captain had alerted the Coast Guard and attempting to arrange a tug to pull the Pacific Quest free. 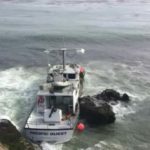 An inspection found the fishing vessel had sustained too much hull damage and could not be pulled off the beach. The Coast Guard is monitoring the situation as the vessel owners have arranged to remove the fuel off the vessel. 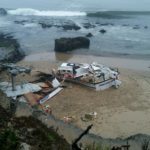 Reports state the Pacific Quest has partially broken up on the beach. The Pacific Quest had some 1200 gallons of diesel fuel on board at the time of the incident. Authorities state some 200 gallons of diesel is known to leak out onto the beach and into the water.